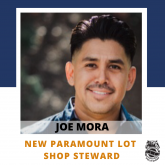 PLEASE WELCOME OUR NEW PARAMOUNT LOT SHOP STEWARD! We are excited to announce our new Shop Steward at Paramount! We must first however take a moment to thank previous Shop Steward, Micah Small, for his dedicated years of service to our Members working on the Paramount Lot, as well as to our Membership at large. Our Local 399 Shop Stewards are an extremely vital role in our Union and are relied upon in a number of ways to help serve the Local 399 Membership. They provide leadership in the workplace, help organize workers to take collective action, and communicate with workers, Union leaders, and management on a daily basis. Our Stewards attend trainings and are constantly sharpening their skills to better serve our Members. 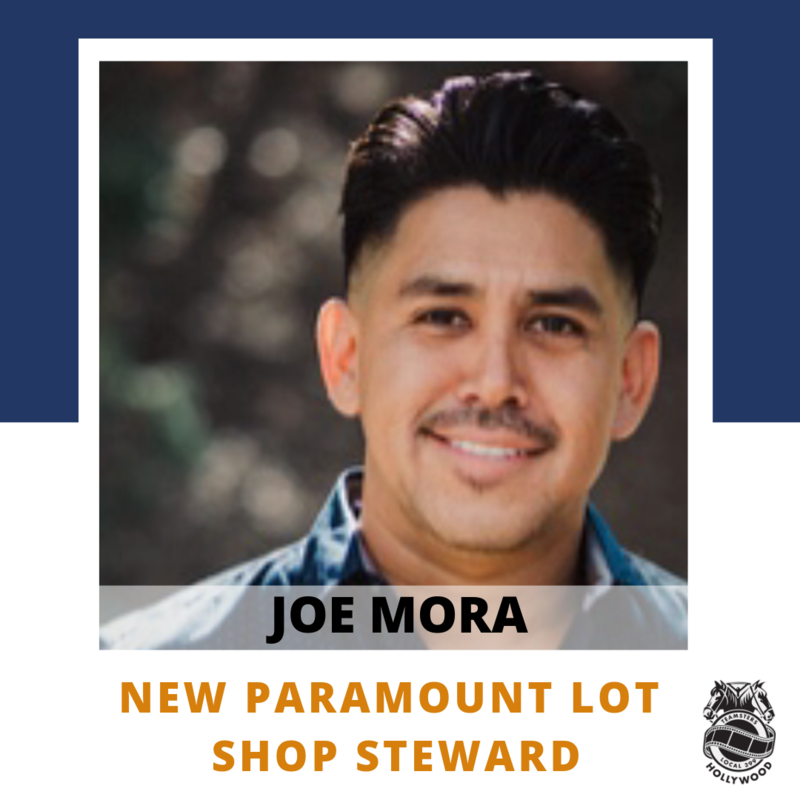 We are very excited to welcome Joe Mora as the new Paramount Shop Steward. Joe has been a committed and hardworking Member of Local 399 for over 13 years and we look forward to seeing him take on this new leadership role at the Paramount Lot. Please contact Business Agent Lindsay Dougherty if you have any questions about the change in Paramount Shop Steward: ldougherty@ht399.org. You can find Joe’s contact information in the New Teamsters Local 399 App on the main menu under the “Contact Info” button! Click here to learn more about the Local 399 App! Thank you again to Micah for your service to the Membership and to Joe for stepping up into this great leadership role!